Celebrating site, vintage, variety, and tradition. Learn more about our Wine Club and Newsletter offerings here! 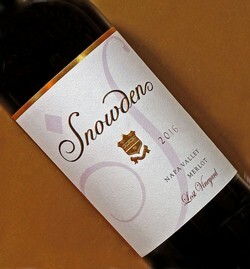 The Snowden Ranch is located on the eastern slopes of the Napa Valley between St. Helena and Rutherford. 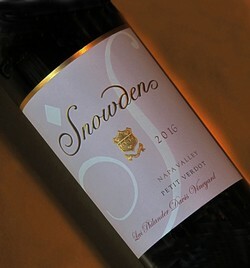 Snowden Vineyards is dedicated to the creation of classically styled, terroir-driven wines reflecting the unique heritage and character of our site. The Snowden family came to our property in 1955 – originally a 160 acre homestead, the ranch has a grape-growing history dating back to 1878. During the decades of our stewardship, four generations of Snowdens have been privileged to walk the woods and vineyards of this lovely and secluded place. 2016 Petit Verdot "Levi Philander Davis Vineyard"